Offensive lineman Luke Jones was not present at the last two practices available to the media and Notre Dame football coach Brian Kelly announced the Arkansas native will transfer from the program. 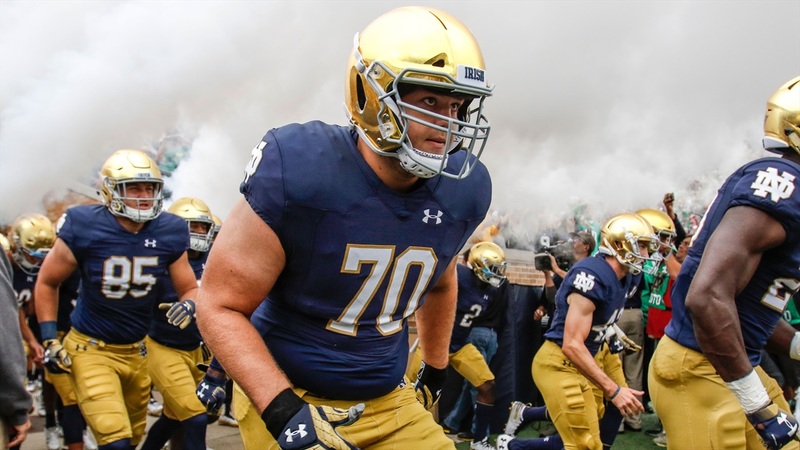 The redshirt freshman did not see action in his first season in South Bend and had been splitting time with early enrollee Zeke Correll at center this spring. The 6-foot-4, 305-pounder committed to Arkansas in July of 2017 before flipping his commitment to Notre Dame in December of 2017 and then signed with the Irish on National Signing Day in February of 2018. Jones held offers from Arizona State, Arkansas, Arkansas State, Dartmouth, Georgetown, Iowa State, Marshall, Missouri, Oregon, Princeton, Samford, Texas State, Tulane, Virginia and Yale.